How to “Storm Proof” Your Trees and Shrubs | Good News Tree Service, Inc. Even better, the check up on the health and stability of your trees is absolutely free—without any cost or obligation to you. All you have to do is to call Nathan Lawrence at the Good News Tree Service, Inc. in Wilsonville at (503) 682-9466 to schedule a free consultation and examination of the trees on your property. Nathan can give you ideas on how to “storm proof” your trees using his vast knowledge and experience as an ISA Certified Arborist and ISA Tree Risk Assessment Qualified arborist with more than 35 years of professional experience caring for trees and shrubs in the Portland and Wilsonville region. With his decades of professionally caring for trees and shrubs in both commercial and residential properties, and having experienced the effects of numerous winter storms on trees since the 1960s, Nathan has the trained eye to spot possible tree hazards. What will Nathan look for when he comes on your property? Heavy limbs that might be prone to breaking. Widow makers or hanging limbs that could dislodge during winter storms. Weak crotches and cracks in trees that could fail. Rot in trees and roots that might cause trees to break, uproot or fall. 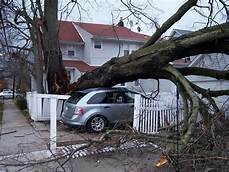 Tree limbs on roofs or against buildings that might cause damage to structures. Low hanging limbs that might hit vehicles or pedestrians especially when loaded with the extra weight of rain, snow or ice. Dead wood in trees that could break and fall out onto people and property. Nathan will then suggest remedies for your problem tree situation and give you a written price quote to perform the work should you decide to follow through on any or all of his recommendations. Call Good News Tree Service Inc. of Wilsonville today for a free consultation and assessment of your trees and shrubs before the winter storms do tree damage to your property. You can reach us at (503) 682-9466 or use our convenient contact form.